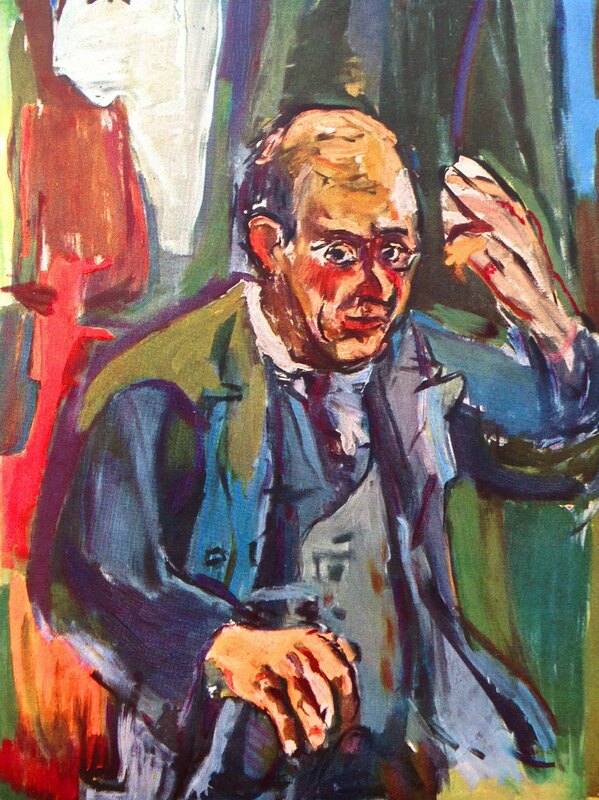 Another striking plate from Hans Mermann’s 1928 book on ‘Modern Music’ was the 1924 portrait of Arnold Schoenberg painted by Oskar Kokoschka. The internet offers no information on where this portrait is held, telling us only that it’s in a private collection. In any case, it was not a portrait of Schoenberg that I was familiar with until now and even if a copy can be found on the net, I enclose a scan of the plate from Mersmann’s book. Obviously, if someone has any further information, I would be interested in finding out more! It’s intriguing to wonder how Mersmann managed to use it in his book, published only four years after the painting was completed. He appears to be playing an invisible ‘cello. Quite mysterious.